Black Friday Book Bonanza Is Back! Sign-up Below! 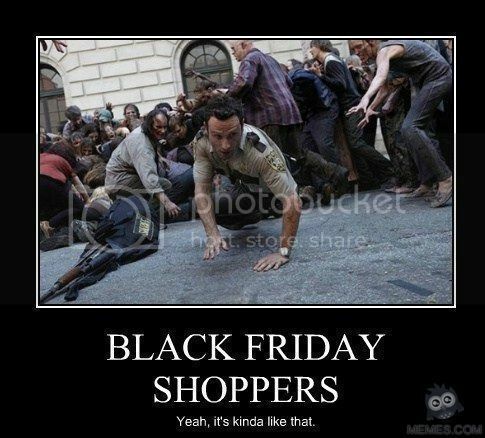 Welcome back to the fifth annual Black Friday Book Bonanza! We are just seven weekends away from the beginning of the best time of year – the holidays! Now is a great time to clear those shelves to make room for those new titles on your wishlist – don’t wait for spring cleaning time, hop with us now! So don’t go out and brave the masses; get cozy with us in your jammies with some hot cocoa, and enter to win some new-to-you books and/or giftcards while giving away some of your own! The hosts for this event are BookShelfery.com (that’s us!) and Caffeinatedbookreviewer.com. This giveaway will run from 12:01am on November 27 through 12:01am November 30 (basically the entire Thanksgiving weekend). 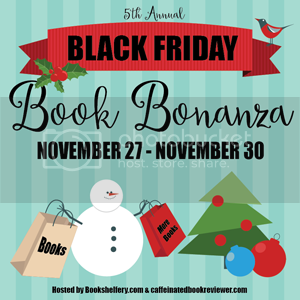 Sign up to participate in the 5th annual #BlackFridayBookBonanza blog hop! Click To Tweet The more blogs to hop, the better! Put our grab button on your blog and help spread the word!